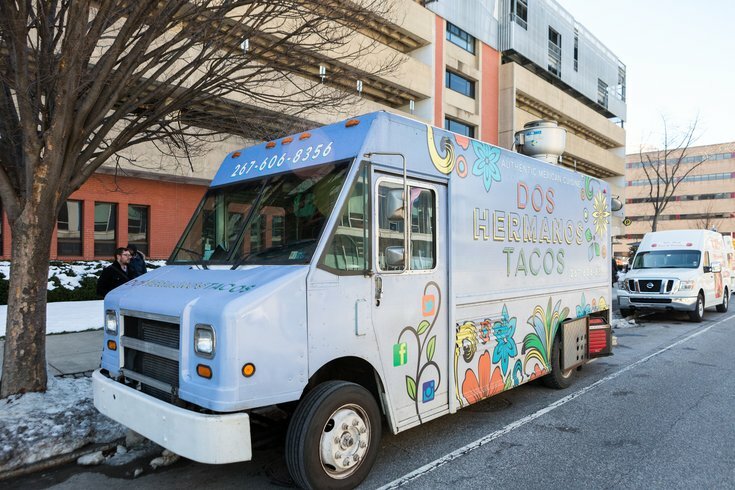 The Dos Hermanos Tacos food truck on Chestnut Street in University City. On Saturday, April 14, more than 15 diverse food trucks will be parked on the 1300 block of Locust Street for the sixth annual Dining Out for Life Food Truck Pop Up. Each food truck will donate 33 percent of its sales to Action Wellness, which aids those living with HIV and AIDS. Stop by between 11 a.m. and 3 p.m. to grab lunch from The Cow and the Curd, The Tot Card, Weckerly’s Ice Cream, OINK and MOO BBQ, NOMAD Pizza Truck and other participants. There will also be a Yards Brewing Co. beer tent this year serving Action IPA, brewed exclusively for Action Wellness. For every pint sold, Yards will donate $1. Also new this year, the food truck fest is taking place on a different date than Dining Out for Life. Philadelphia’s largest dining fundraiser will return Thursday, April 19. The event was founded in Philadelphia in 1991 by Action Wellness and is now replicated in more than 60 cities. Around 200 restaurants in Philly are participating. Dine at one of them on April 19 and 33 percent of your food bill will be donated to Action Wellness.